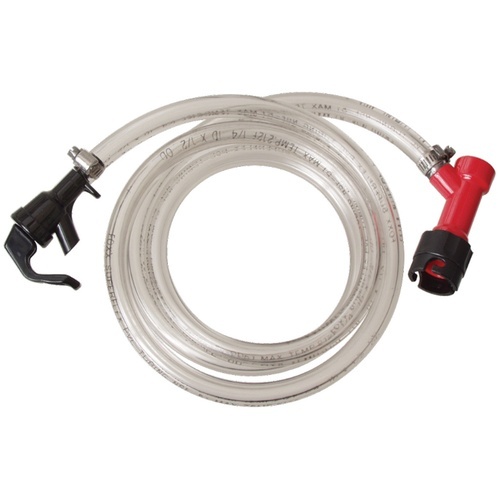 Includes Pin lock beverage out quick disconnect, line, hand held faucet and two hose clamps. 5 ft of 3/16" line. Once you have your beer in the keg and carbonated next best thing is in your glass. This liquid out tap has worked through many party's flawlessly.